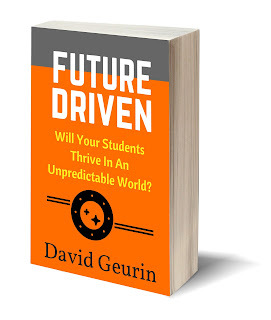 In Future Driven, David Geurin describes how to conquer the status quo, create authentic learning, and help your students thrive in an unpredictable world. 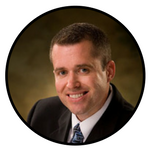 He shares how to simultaneously be more committed to your mission while being more flexible with your methods. You'll discover strategies to help students learn transferable skills. And you'll find ways to inspire creative, adaptable learning.Ultimately, you'll invest in tomorrow by helping your students become world changers today. 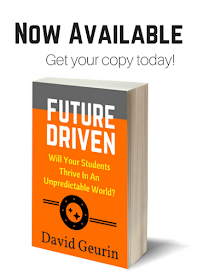 Future Driven is a passionate, compelling forecast that urges all educators to engage smartly with what is coming. Teaching learners in this era of knowledge abundance requires teachers to take risks and for leaders to embrace change. A future focus, combined with action today, will ensure students are prepared for whatever they face. We need to have a long-term perspective and so do our students. If we are going to prepare students for an increasingly complex and uncertain world, schools must be future-driven organizations. And if you are going to make a lasting difference and create a better tomorrow for students, you are needed as a future-driven educator. It's time to push your limits and push the limits of others too. Future Driven will challenge you to move forward boldly to prepare students for a rapidly changing world. David connects the everyday world to what kids truly need in today's classrooms. He emphasizes the need for future ready mindsets in order to be prepared for success. I love how he brings to life the power of knowing how to learn over receiving information and regurgitating it. Every educator should read this powerful, game changing book. “In today's ever changing landscape it is not enough for kids to just have the requisite skills to tackle tomorrow's issues. David gets to the heart of the matter in Future Driven, by inviting educators to embrace a new paradigm, one where teachers design experiences for students that invite creativity and adaptability. Filled with personal stories and practical do now ideas, David has put the possibility of being a futurist into the hands of every teacher and school building leader. 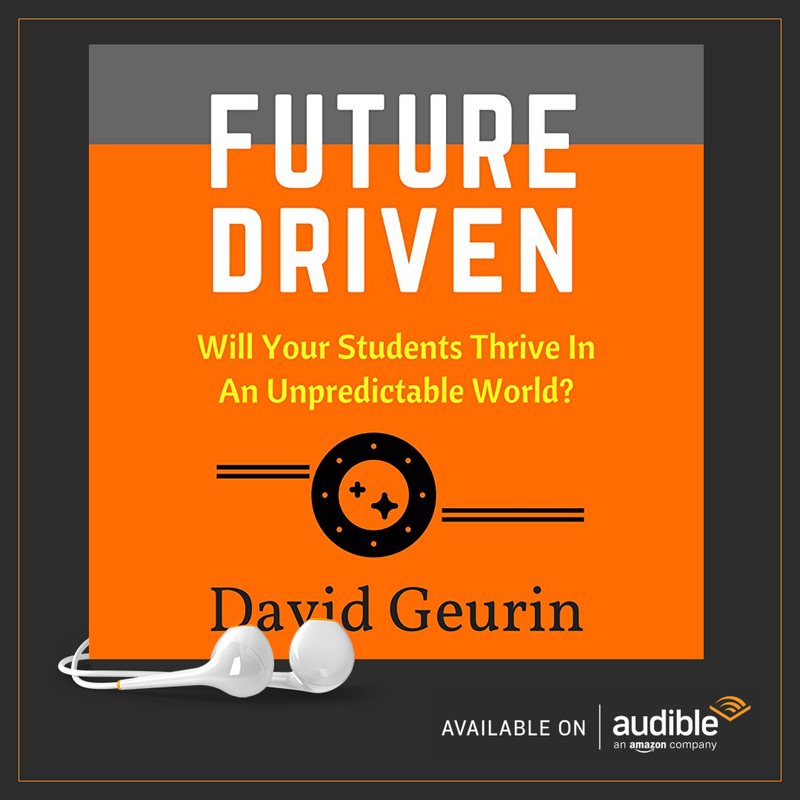 Future Driven is both inspiring and deeply challenging, asking educators to consider how we are adapting our craft to the realities of student's needs today, and the unexpected world that awaits!